Hey, coach or expert! Do your followers thrill to a challenge? 30-day challenges are often the more affordable option for clients who'd like to save money on your services. Here's a beautiful one that they can take via email, on your social media group, or follow along with from your blog posts. 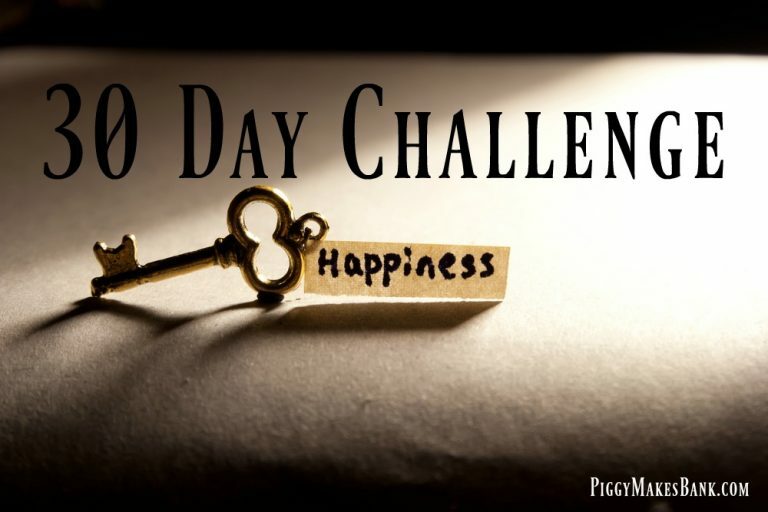 30-day challenges are so incredibly popular right now! Plus, when you launch one, you get to enjoy a much needed break from work while the sellable course does its magic to help folks succeed and be happy without having to invest in pricy hours of one-on-one coaching. So here's this beautiful, 30 Days to Happiness course that comes to you from Piggy Makes Bank. This is a complete package including 30 articles and 30 emails, all for just $47 for more than 21,000 words total. This special Happiness Challenge PLR Bundle includes 30 articles and 30 email messages. Just copy and paste and you're good to go. Here are the article titles included. There are more than 21,000 words included in this happiness bundle with PLR rights! 3. What Makes You Happy? 25. Stop Complaining. Take Action. 27. Sometimes You Need To Treat Yourself And Spend Some “Me” Time. 29. Are You Noticing A Difference? If you hired a copywriter and virtual assistant to help you write and set this course up in autoresponder series, it'd likely cost you thousands. But today you can grab the course for just $47! This is a small investment that you can make back and begin to profit on as soon as your first five orders go through. What's not to love? Grab your own, brandable copy of the 30 Days to Happiness Challenge right now. "Buy Now" opens to a new page on Piggy Makes Bank's website where you can learn more and order.